Thomas Edward Moeller was born on 7 July 1937 in St. Louis County, Missouri. Edward Louis Moeller and Vera Harriet Martin appeared in the US federal census of 1 April 1940 in Gravois Township, St. Louis County, Missouri, at 824 Sappington Road enumerated next to the household of Vera's sister Elsa Gilder. Other members of the household included Thomas Edward Moeller. Thomas Edward Moeller died on 19 September 1997 at age 60 in Chesterfield, St. Louis County, Missouri, at St. Luke's Hospital. He was interred at Oak Hill Cemetery, Kirkwood, St. Louis County, Missouri. The following appeared on 21 September 1997 in the St. Louis Post-Dispatch: Thomas Edward Moeller, a professor at Maryville University and a former assistant superintendent with the Kirkwood School District, died Friday (Sept. 19, 1997) at St. Luke's Hospital in Chesterfield after a brief illness. He was 60 and lived in Des Peres. Since 1990, Professor Moeller taught middle level programs for teachers at Maryville University. Before that, he spent 31 years with Kirkwood schools -- first as a mathematics teacher and track coach, and then as a middle school principal. 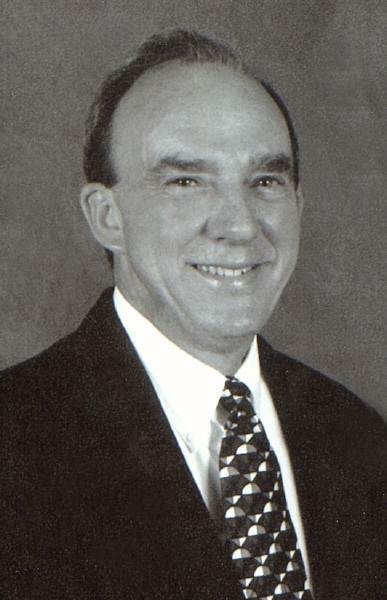 He was assistant superintendent of curriculum and instruction for eight years when he retired in 1990. He was instrumental in the district's switch from junior highs to middle schools. When he was principal at Nipher Middle School, the school received national recognition for its programs. The library at Nipher was named for him when he retired. Early in his career, he worked in the Kirkwood Recreation Department as the director of a summer camp program and youth soccer program. In 1964, he was chosen as outstanding young man of the year by the Kirkwood Jaycees. In 1983, he was elected to the board of directors of the National Association for Individually Guided Education. He was the founder and first president in 1976 of the Missouri Middle School Association and he was a board member of the National Middle School Association. He was also the founder of Creative Educational Consulting, a private consulting firm. In the early 1990s, he was an interim director of the Cooperating School Districts' Network for Educational Development. He was also a consultant to the Cooperating School Districts' coordinating programs. Professor Moeller was born and reared in St. Louis. He earned his bachelor's degree from Southeast Missouri State University at Cape Girardeau, his master's degree from Southern Illinois University at Edwardsville and his doctorate from the University of Missouri at Columbia. A memorial service will be at 4 p.m. Monday at the First Presbyterian Church of Kirkwood, 100 East Adams Avenue, Kirkwood. Burial will be private. Among the survivors are his wife, Judith Wood Moeller; a son, Matthew Thomas Moeller of Des Peres; a daughter, Amy Moeller Kocher of Glendale; two brothers, Ronald L. Moeller of Eden Prairie, Minn. and Richard M. Moeller of St. Simons Island, Ga; and a sister, Carol A. Taylor of Kirkwood. Memorial contributions may be made to the Thomas E. Moeller Scholarship Fund for Middle Level Teachers in care of Mark Bates, Maryville University, 13550 Conway Road, St. Louis, Mo. 63141.